CCP is based in Iceland, but the company is expanding its operations in the U.S. as it works on a console tie-in and World of Darkness. Iceland has had its share of economic hardships, and as CCP continues to expand into bold new territories, it only makes sense for that growth to be stateside. The merger with the tabletop RPG company White Wolf, in which it acquired all of the World of Darkness and Vampire: The Masquerade IP, might also have a lot to do with CCP creating 150 new jobs in its new offices in Decatur, Georgia. 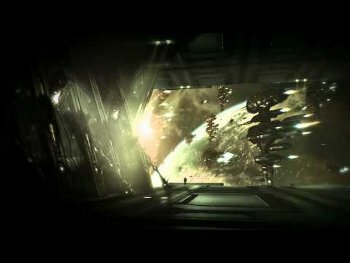 When all the positions are filled, CCP will have a total of 300 people working on the console FPS tie-in to the Eve Online universe called Dust 514 and the World of Darkness MMO. The State of Georgia is just tickled pink at a high-tech company building up a workforce in its borders. "For digital entertainment companies, Georgia brings to bear a competitive set of resources for this industry that makes our state a strategic home for game developers like CCP," said Georgia Governor Nathan Deal. "It is also encouraging to see an existing Georgia company expand and take full advantage of our state's progressive business atmosphere, and enhance its commitment to Georgia." Hopefully, this growth means that CCP is entering the final stages on both of its big-ticket projects, and we hope to get a release window for both of them at the EVE Fanfest scheduled March 24-26 in ReykjavÃ­k, Iceland.